With Summer in full swing and many of us preparing for our getaways, I wanted to share with you some of my favourite picks from the NET-A-PORTER sale. Simple pieces for the perfect holiday wardrobe! – Better hurry though because they are selling like hot cakes! 1. Madewell denim shorts; 2. Madewell black vest; 3. Étoile Isabel Marant white top; 4. Mikoh bikini; 5. 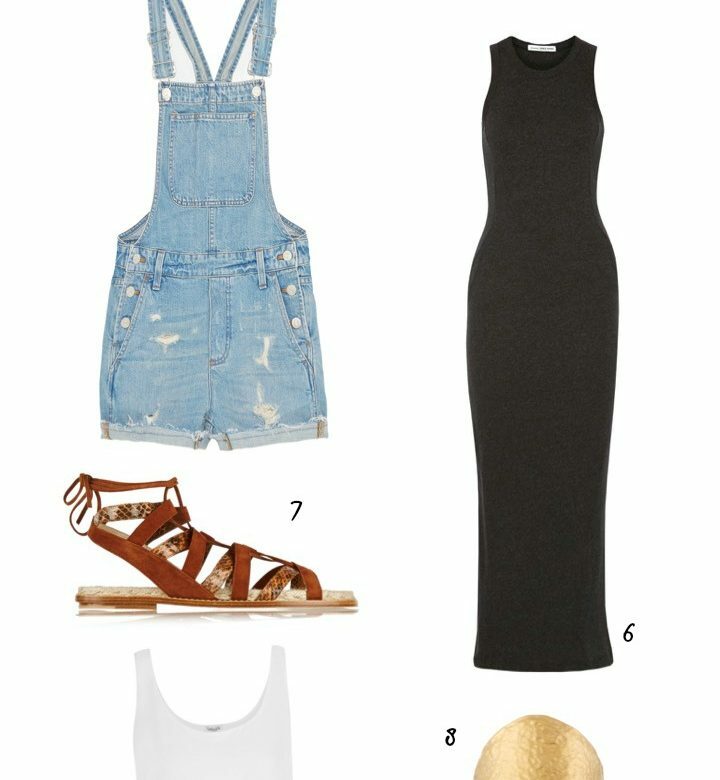 Madewell denim dungarees; 6. James Perse maxi dress; 7. Paul Andrew brown sandals; 8. Kenneth Jay Lane gold cuff; 9. Splendid short white dress; 10. Mih Jeans stripe t.shirt; 11. Heidi Klein stripe bikini; 12. Tomas Maier straw hat. I like the denim shorts, the two pieces bikini in black and white, the black dress and the hat, of course. Also the t shirt at number 10 is fine for this summer.